Posted August 1, 2018 & filed under Lifestyle. 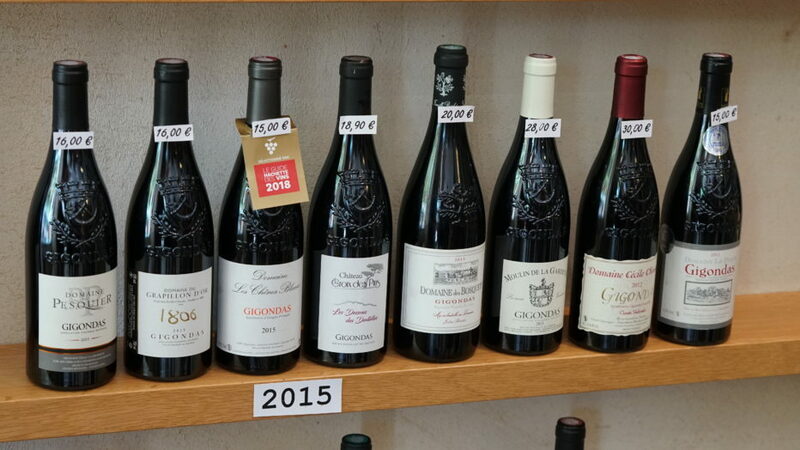 Lacanche owner Kerry Valentine recently traveled to France with a couple of friends for a tour of art, wine and food. The trip began in Provence, where they spent two days in the Avignon area, visiting Arles for the Van Gogh walk and then wine tasting in the Cote du Rhone region with transplanted American winemaker Douglas Graves of “Tours du Rhone.” Doug shares the scenic views and the history of the area, all while taking his guests wine tasting. The majority of their trip was spent in the region of Burgundy. 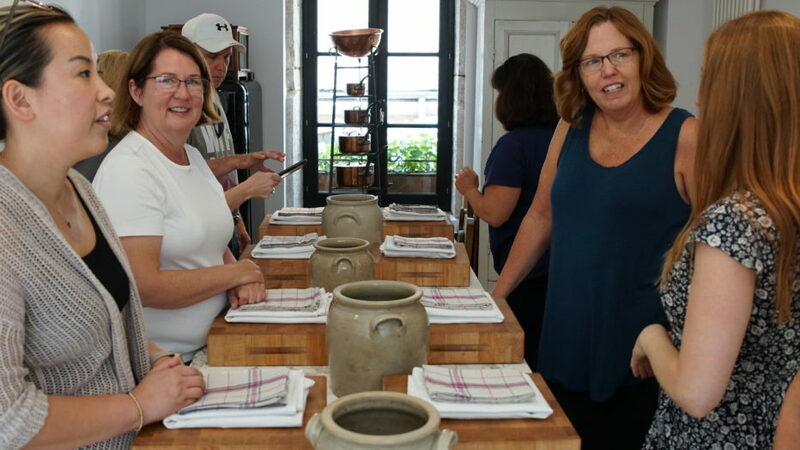 Kerry, Jana and Gina ventured to Beaune to attend “The Cook’s Atelier”, cooking class with Marjorie Taylor and Kendall Smith Franchini. 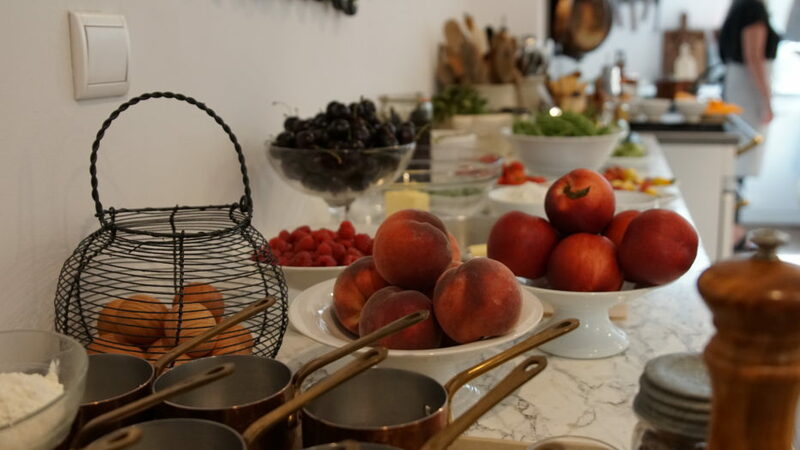 During their classes, they teach and cook on a beautiful Lacanche Sully range. 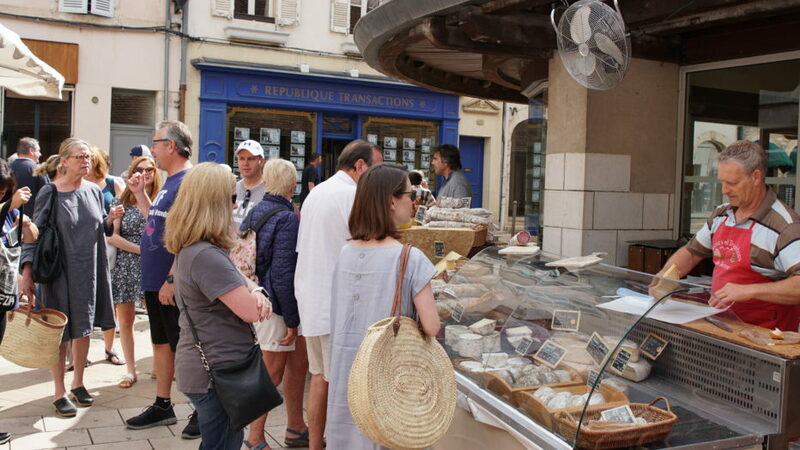 Before they begin cooking, Marjorie and Kendall take the group to the market, fromagerie and butcher shop to select ingredients to use during the class. 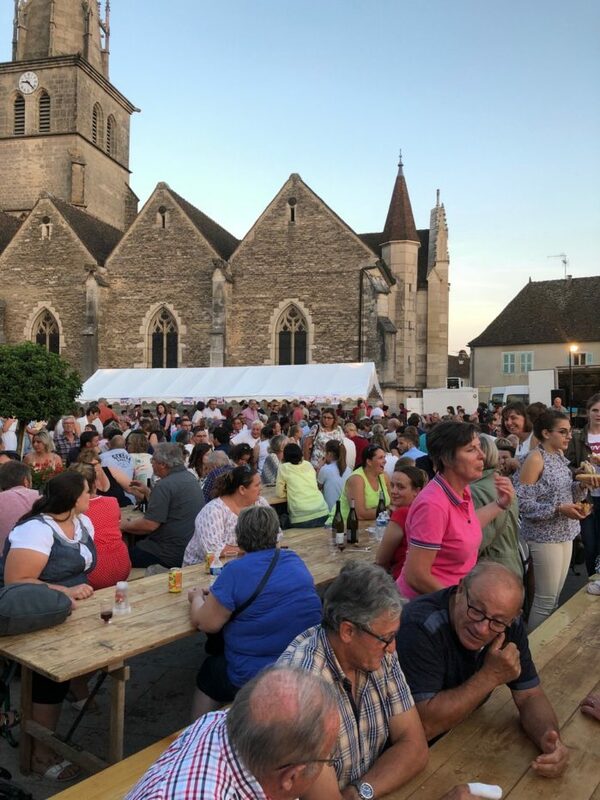 Thierry Purdon was kind enough to invite the group to attend the local Bastille day celebration in Meursault with their friends. There was food, music and fireworks. Thierry is great at showing people the heart of Burgundy. He has been hosting Lacanche owners who come to visit for years. The group also got to tour Chateau du Cormatin and Chateau de la Rochepot while in Burgundy. Kerry, Jana and Gina got to take part in the French winning the world cup before coming home and ended their trip with a few lovely days in Paris. If you are interested in visiting either the Lacanche factory or the Cook’s Atelier in the Burgundy region of France, please contact us at care@frenchranges.com.